Andy Wang received his Ph.D. and M.S. in computer science from UCLA in 2003 and 1998, and his B.S. from UC Berkeley in 1995. 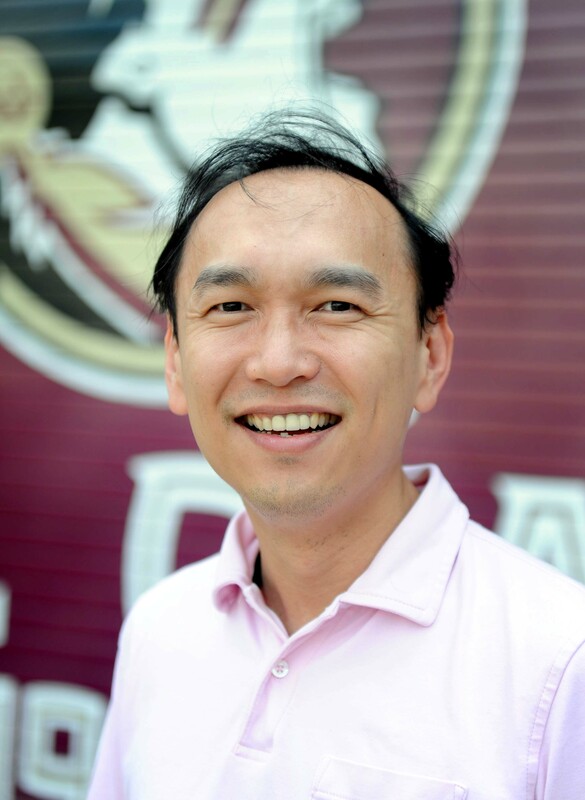 He joined the Department of Computer Science at Florida State University as an Assistant Professor in 2003. His research interests include file systems, optimistic peer replication, performance evaluation, ad hoc network routing, operating systems, and distributed systems. Andy Wang's research theme revolves around the management of data flows. The Cashtags data-interception framework provides a way to compute in public using sensitive data items without displaying them on the screen of mobile computing devices. TrueErase involves tracking and propagating information, so that traces of a file can be securely deleted throughout the legacy storage data path. His work in real-time storage domain involves throttling the data flow to meet timing constraints. Power-Aware RAID (PARAID) redirects requests to data replicated at unused portions of disks, thereby creating opportunities to power down disks and save energy. Permuted states offer a compact representation of distributed states and thus can be applied to analyze optimistic replication systems with an exponential number of ways to propagate data updates. Electric-field-based routing allows mobile computers to form disjointed communication paths without explicit coordination and global knowledge. Conquest, a disk-persistent-RAM file system, uses specialized data paths to memory and disk storage to achieve drastic performance improvements. Shuanglong Zhang, Helen Catanese, and An-I Andy Wang. The Composite-file File System: Decoupling the One-to-one Mapping of Files and Metadata for Better Performance. Proceedings of the 14th USENIX Conference on File and Storage Technologies (FAST), February 2016 [8 pages, 20% acceptance rate] Supersedes Technical Report TR-150921, Department of Computer Science, Florida State University, September 2015. Michael Mitchell, An-I Andy Wang, and Peter Reiher. Cashtags: Protecting Input and Displays of Sensitive Data, Proceedings of the 24th USENIX Security Symposium, August 2015. [16% acceptance rate] Supersedes Technical Report TR-141209, Department of Computer Science, Florida State University, December 2014. Sarah Diesburg and An-I Andy Wang. A Survey of Confidential Data Storage and Deletion Methods. ACM Computing Surveys (CSUR), 43(1), 2010. Supersedes Technical Report TR-080508, Department of Computer Science, Florida State University, May 2008. Mark Stanovich, Theodore Baker, An-I Andy Wang, and Michael Gonzalez Harbour, Defects of the POSIX Sporadic Server and How to Correct Them. Proceedings of the 16th IEEE Real-Time and Embedded Technology and Applications Symposium (RTAS), April 2010. [22% acceptance rate] Supersedes Technical Report TR-091026, Department of Computer Science, Florida State University, October 2009. Mark J. Stanovich, Theodore P. Baker, and An-I Andy Wang. Throttling On-disk Schedulers to Meet Soft-real-time Requirements. Proceedings of the 14th IEEE Real-Time and Embedded Technology and Applications Symposium (RTAS), April 2008. [24% acceptance rate] Supersedes Technical Report TR-071025, Department of Computer Science, Florida State University, October 2007.